That’s right folks! It’s the most wonderful time of the year. 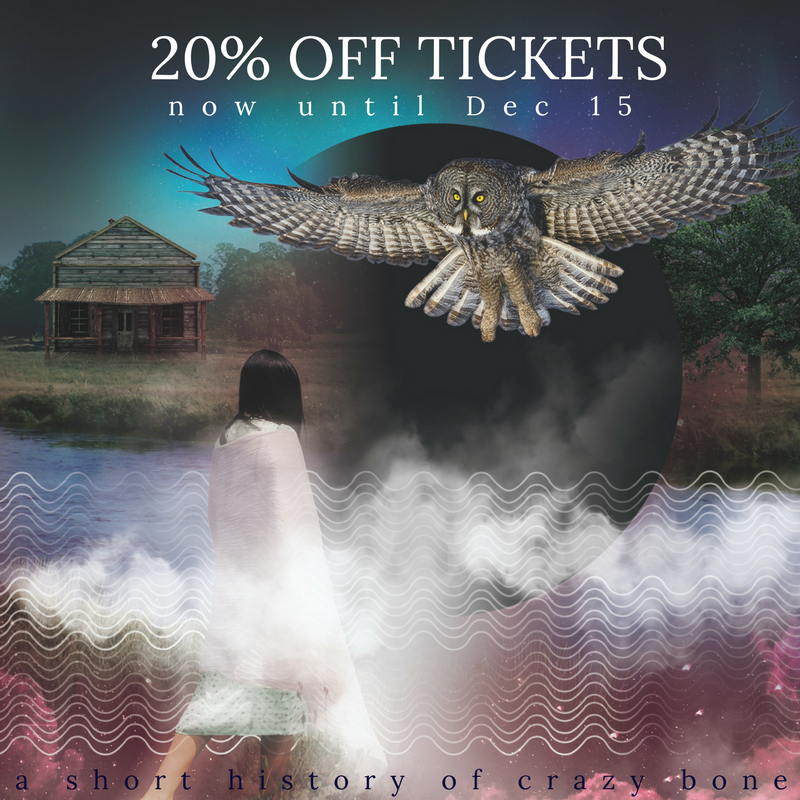 We are pleased to offer you 20% off tickets to A Short History of Crazy Bone so you can start striking names off your gift list! Purchase before December 15th using the code: Crazy Deal! And we will send your tickets in the mail to you before Christmas.